My family received free admission into the Shipshewana Corn Maze (valued at $9.50 per adult and $5 children ages 5-11) in exchange for this review. All opinions expressed here are honest and my own. Have you been to Shipshewana, IN? It’s a beautiful and pleasant Amish community. 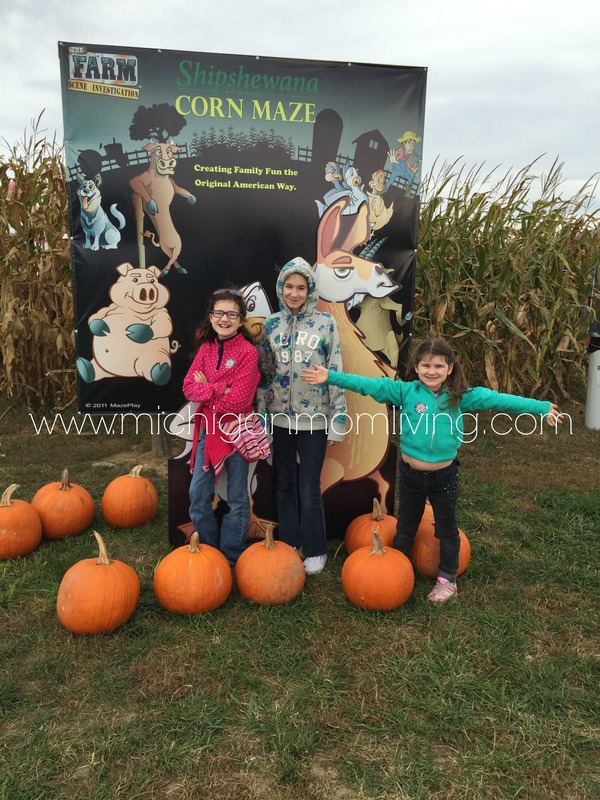 My mom and my sweet girls took a day trip (2.5 hours from us) on Friday, October 2nd, to check out the final weekend of the flea markets, enjoy amazing Amish dining, and shop in the local stores. 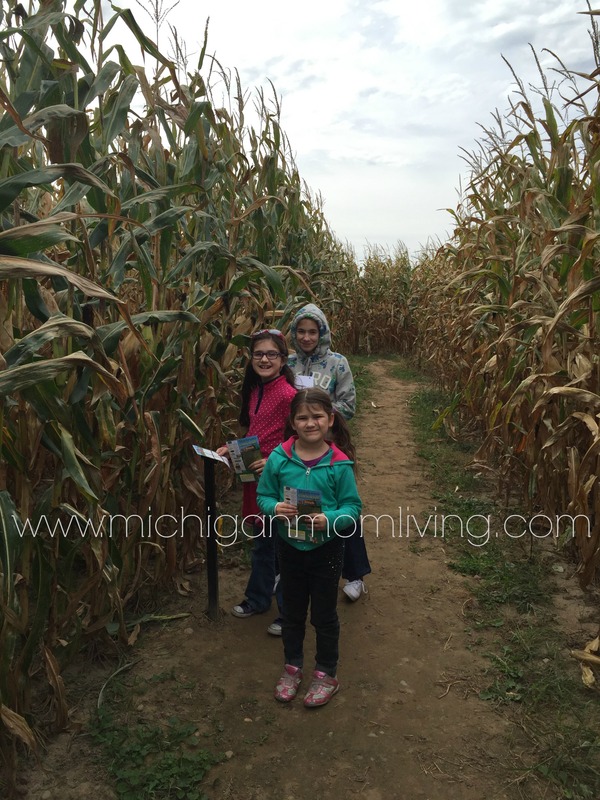 To make the trip more exciting, upon planning our trip, I received a blogger invite to review the corn maze. Perfect timing since we were going to be in the area. They had three levels of corn maze paths. The first one was for kiddies. They were given paper and a crayon and had to search for 6 animals. So upon traveling the paths they had to find a station where to do a crayon rub of an animal. We found 5, but not all 6. That was a tricky one, but a blast. The girls started getting a little frustrated after the third animal crayon rub since the maze hit several dead ends and they of course said that it “all looks the same, how are they going to find it?” HA! After about 25 minutes in the maze, we decided to end it there and not try the other two since this was our first time. We are going to plan for the next level, next year. 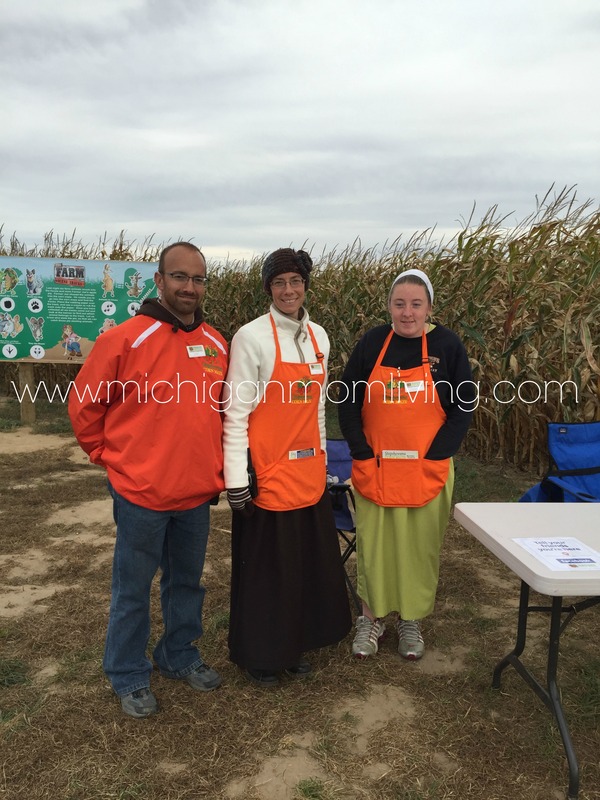 The family fun didn’t stop at the corn maze. They had wagon rides, human hamster wheel races, and much more! It was terribly windy and cold, so we didn’t get to hang out as long as we had originally planned, but it was still a fun time. 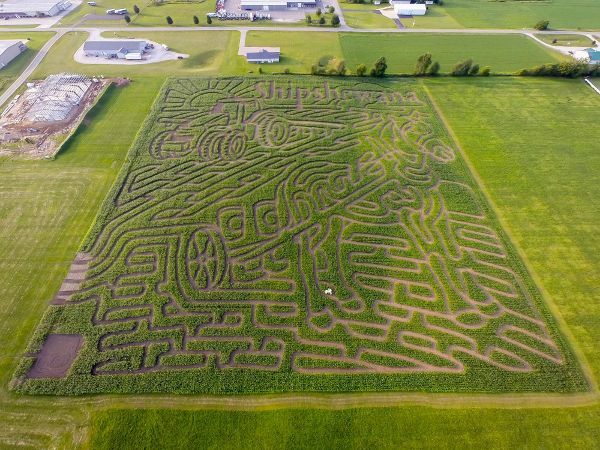 For full details about this fabulous corn maze, visit Shipshewana Corn Maze. My girls and I would like to thank the folks at Shipshewana Corn Maze for given us the opportunity of trying their maze. It was a blast!